Today is a little departure from my seasonal paintings. 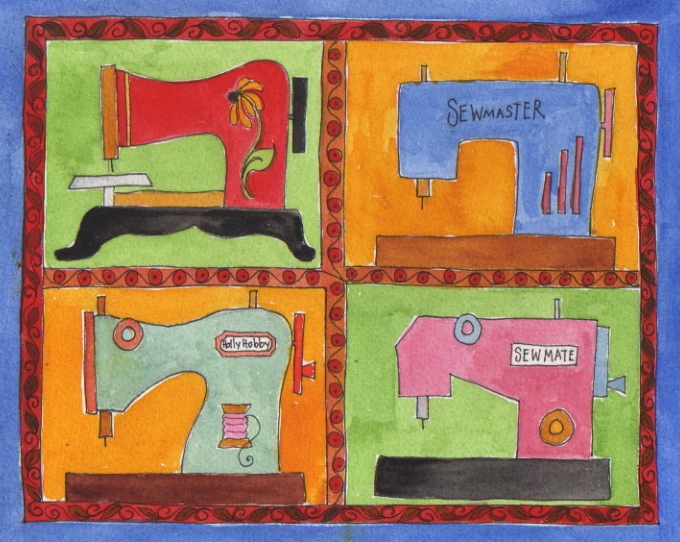 Before I started painting, I was (and still am) a sewist and quilter. 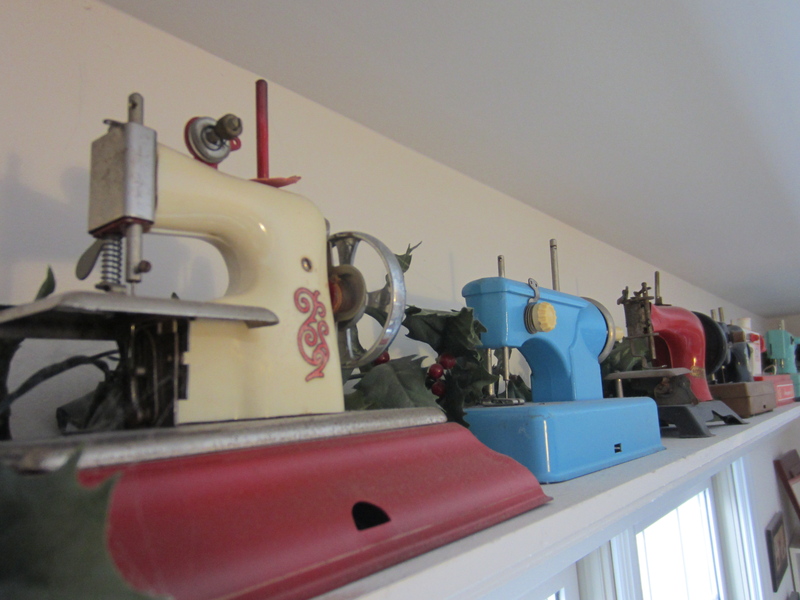 A few years ago, I started collecting toy sewing machines off of Ebay. 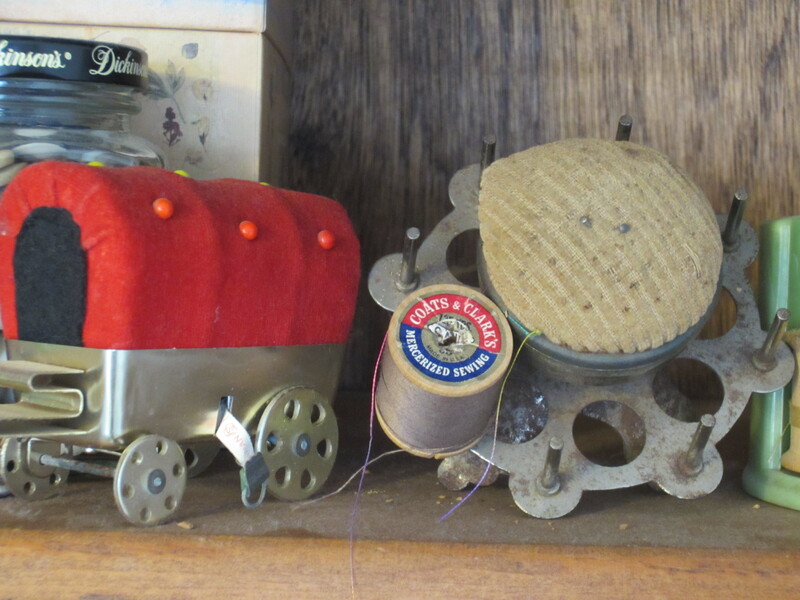 They decorate my quilt studio. 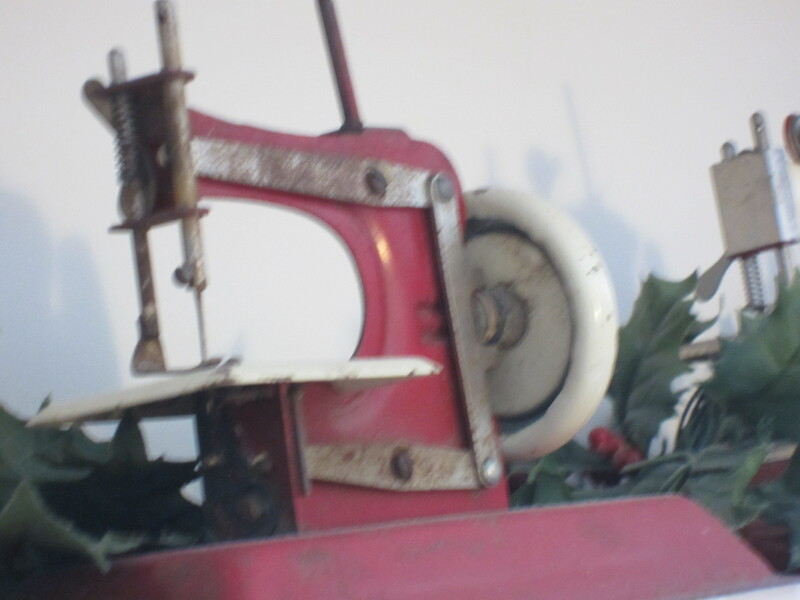 We quilters do have quite an ability to justify buying a plethora of things. 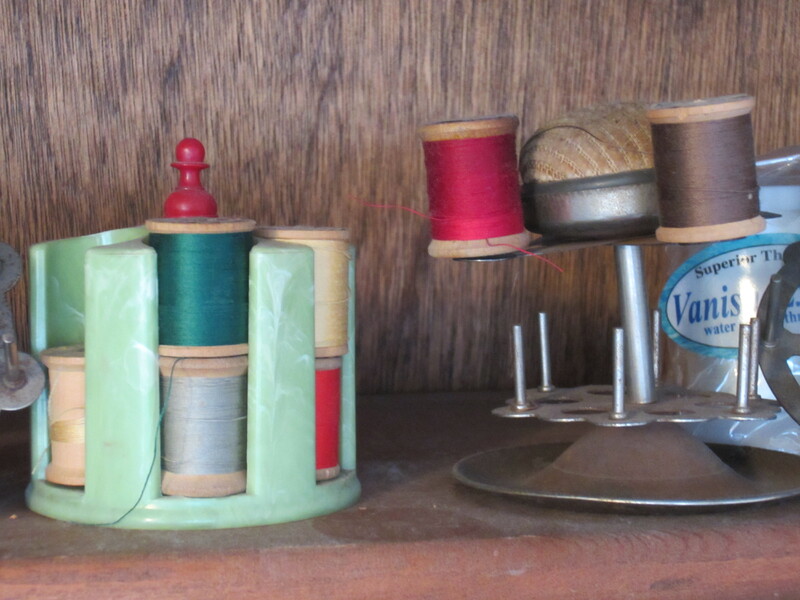 More Ebay finds: vintage spools and pincushions. After a dozen toy machines, gobs of sewing “stuff” and about 100 unfinished, vintage quilt tops, I’ve managed to tear myself away from Ebay, My husband (and my accountant) are very happy about that!